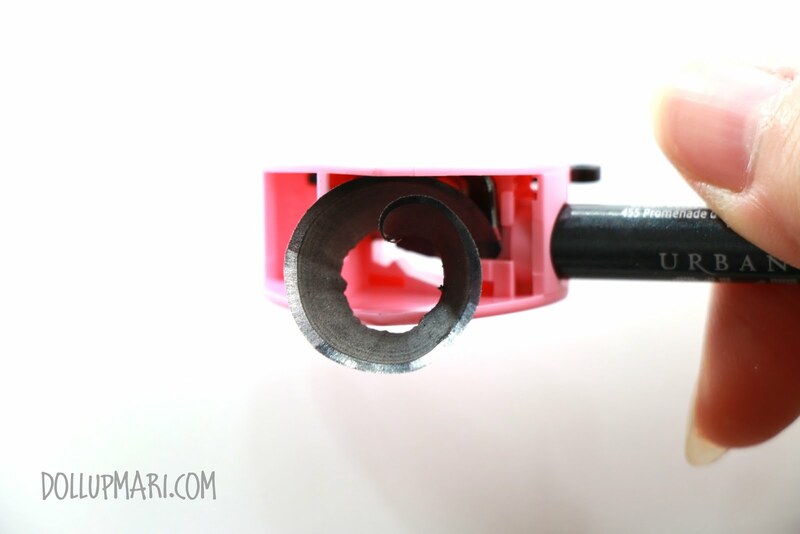 It's easy to find good sharpeners for writing pencils, and it's easy to find mechanical pencils should you dislike the hassle of sharpening your pencils. However, with makeup, that isn't always the case. Not a lot of companies make their eye pencils in retractable plastic packaging, and a lot of the popular eye/lip pencils in the market are still wooden/plastic that you have to sharpen, or in other words, traditional. I think all of you can relate to the struggle. As in the struggle of sharpening an eye pencil. There's always a struggle to not get the product to break and stick onto the blades. And then there's this struggle of not knowing when it's already sharp enough and when you should stop sharpening. And those pencils made of bad wood, there's this struggle of not getting the wooden shavings to disintegrate and fly onto the product and everything else in your house. And of course, there is also the struggle of having to clean up waxy shavings from the sharpener blade, or in a day of misfortune, the cleanup of a pencil stump from inside the sharpener. But with this sharpener, you can bid all those struggles goodbye. The description says that it's for 8mm pencils, just not sure if it's 8mm diameter or 8mm circumference. Bottomline though is it's for standard pencils. 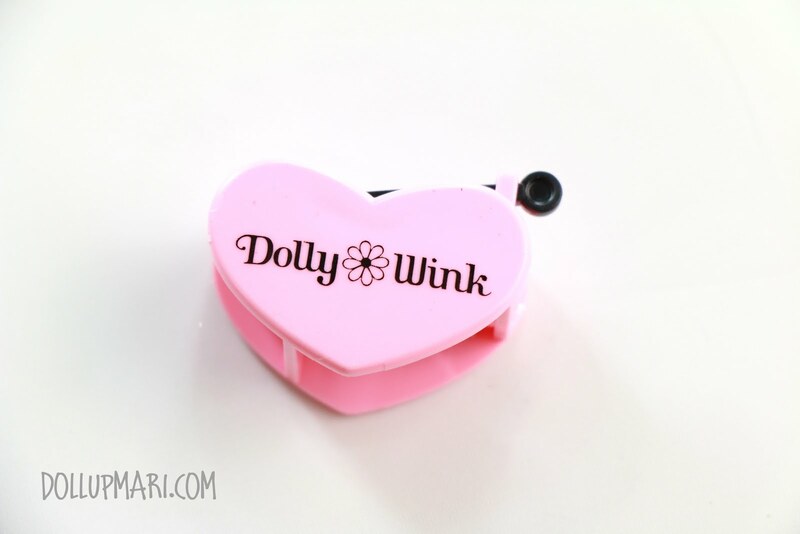 It promises that you can now sharpen your eye pencils beautifully and with little difficulty. And as with any sharpener, they warn that users be careful with the blade in the sharpener and keep it away from reach of very small children. 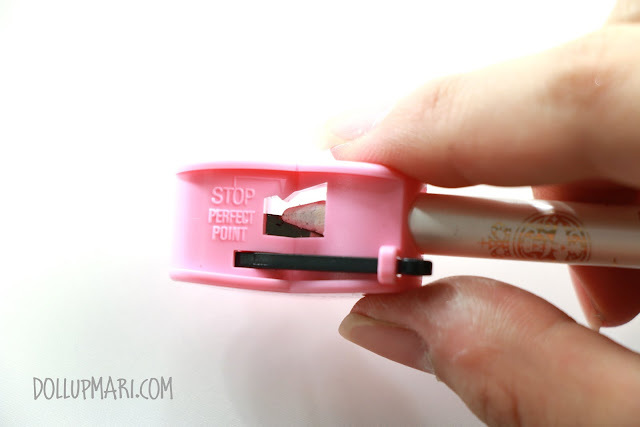 They also add in another warning so as not to use this sharpener with pencils not related to the eye area, perhaps real pencils, and I'm guessing that it's to keep the blade sharp. 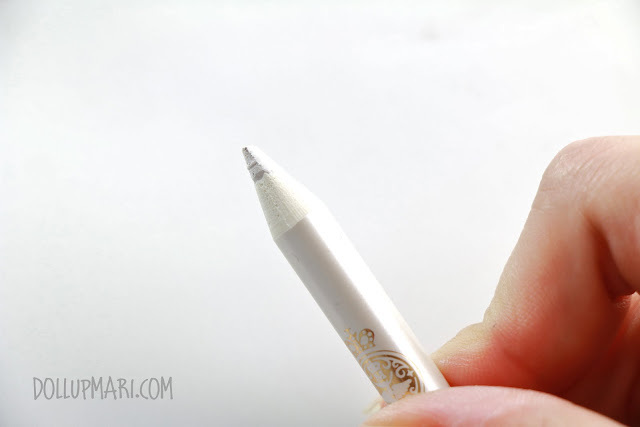 This is the feature that interested me the most--- a pointer as to when the pencil is already sharp enough. As in you put your pencil in, sharpen and do your own thing, and once the tip of the pencil is already aligned with the arrow, you know that it's already sharp enough and that it's time to slowly pull the pencil out. I think that's also the reason why if you'll look closely that there's a chip on the blade. Initially, I was thinking that this was a manufacturing defect, but when I noticed the arrow pointer and that the chip in the blade is aligned to the arrow pointer as well, I figured that they must have put a chip on the blade so that you can still turn the pencil a little bit without the blade sharpening on the waxy part itself so that you can avoid breaking it. On a side note, has anyone heard of Kum Germany? And here's the first pencil I test. This is Majolica Majorca's eye pencil. As you can see, I sharpened it up until the pointer. 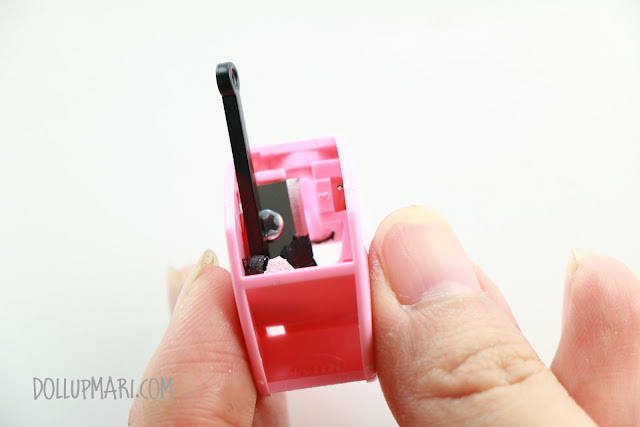 Interestingly, too, you can see that this is one of the few sharpeners wherein you view your pencil on the side opposite the blade. As in for the first time, I'm looking just at the tip's status and not at the blade nor the shavings. And indeed, it came out smoothly, with no breakage, just a nicely sharpened pencil here, folks! 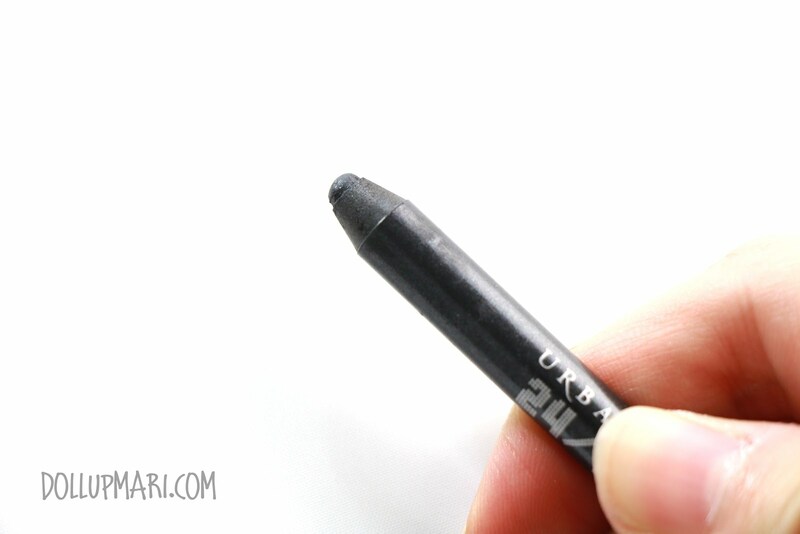 I also tried to give my Urban Decay 24/7 pencil a spin in this sharpener to see. This is the pencil before sharpening. And following the pointer, this also comes out so nicely. Though I no longer took photos, I also used it to sharpen my Cinema Secrets pencil (aka my most difficult to sharpen pencil because it's so soft and the wood is so rough and chunky) and to my extreme surprise, the thing didn't break! It's the first time I have sharpened that particular pencil to a good length without breaking it, and the wood also came out smooth and pretty! The blade is so good and sharp that it works really well even on the softest pencils. 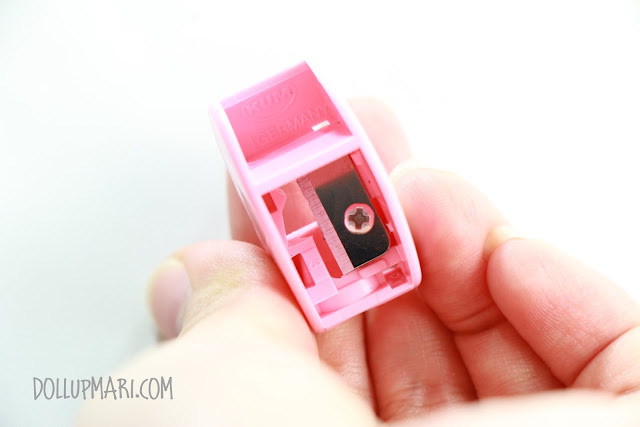 The other cool feature they have in this sharpener is this cleaning stick that it comes with! 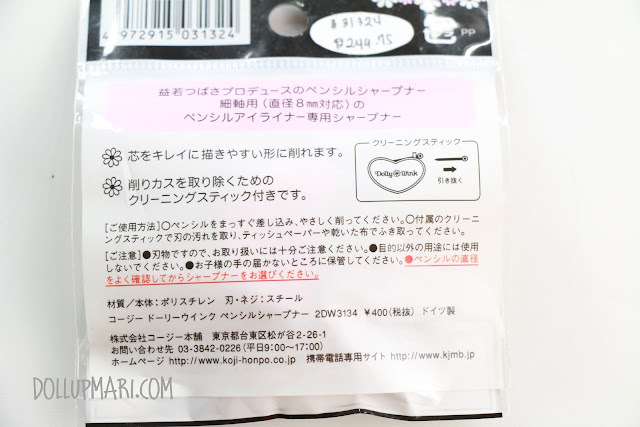 When I was at the store asking about this product, I was initially baffled as to what this was, and even the salesladies were, until I read the text and saw that this is a cleaning stick after all. You can use it as is, or put a tissue on top of it then clean so that you can wipe the blade really well and make sure that no residue is left behind. Basically this saves you the trouble of having to use a cotton swab each time you sharpen a pencil, and you'd now only have to use cotton swabs every 3-4 pencils or so. I got this for Php250 (well it's 249.75 but it's as good as 250 anyways) from Yhansy at Shang Plaza. 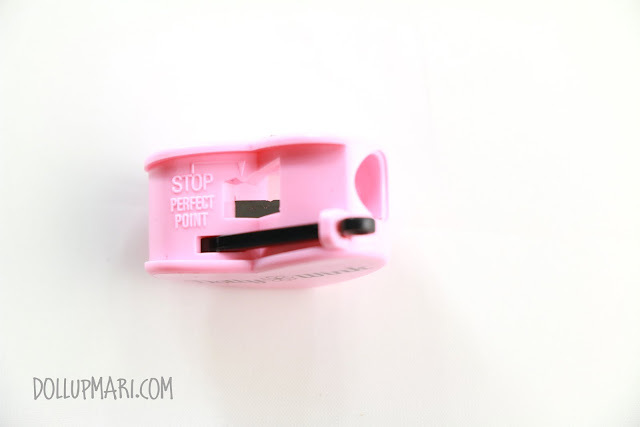 I know that this is really expensive for a sharpener, knowing that a lot of other people buy writing pencil sharpeners for Php30 or less and use them for their eye and lip pencils. But I must say that the quality and perks you get with this sharpener are unparalleled. 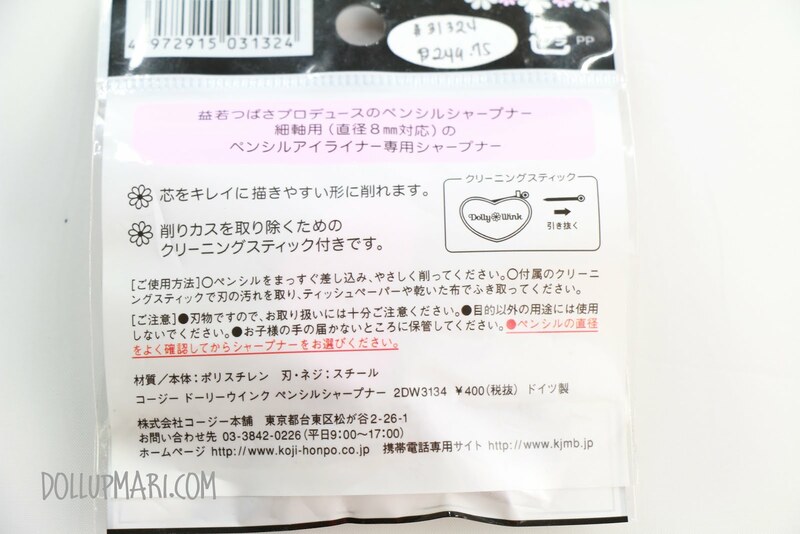 It's one of those Japanese inventions that are well thought of and useful, a product that was developed with cosmetic pencils in mind. And most importantly, with a good sharpener like this, you're more likely to preserve your expensive eye pencils with better precision and less pencil stumps going to the trash bin. 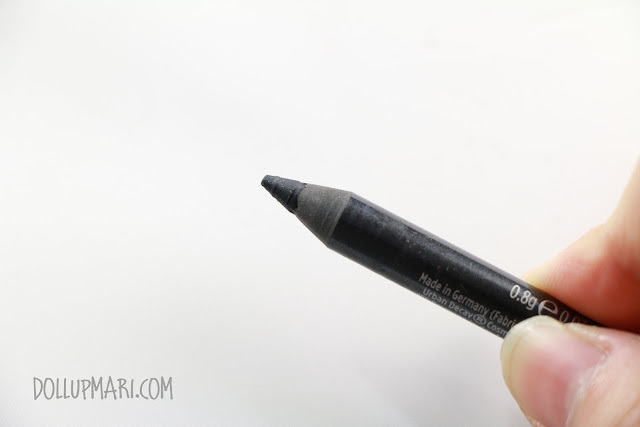 This is definitely a life changing addition to my kit, and if you're looking for something that will solve all your pencil problems, this is definitely it.